Because yellow pine is a softer wood than is generally considered acceptable most people tend to not choose it for their flooring. Despite its softwood classification, it’s surprisingly durable. Installing Yellow pine flooring is not as popular as other wood flooring types, but it can be a good choice for your home or office. The light color of the yellow pine flooring is what catches many homeowners’ eye, simply because it brightens a room and looks “clean”. This can add a new look to your home without having to paint walls and buy new furniture and it can add value to your home. What are some of the other benefits to yellow pine flooring? Yellow pine flooring is known for being highly resistant to wear and marring which is quite unusual for a softwood (Janka hardness rating of 870). It can take the wear and tear your family dishes out and stay beautiful for years. One great thing about pine is that even when it gets dinged, its beauty and character are enhanced throughout the life of yellow pine flooring. Think of it as a patina. Yellow Pines come in different varieties, including the shortleaf pine, longleaf pine, slash pine, Jeffrey Pine, Eastern Whites Pine and loblolly pines.Even though the color of the pine is similar for all types of yellow pines, the hardness varies across different species of yellow pines.The colors of yellow pine wood planks seem to deepen over time, giving it even more texture and detail. This may be one reason it’s been used for hundreds of years in homes and offices. It may be time to start your masterpiece now. The finish you choose gives the wood, variable protection from wear and tear. If you enjoy the natural look of the yellow pine flooring, don’t stain it and use a water-based polyurethane to seal and protect the wood without taking away from its natural beauty. Yellow pine flooring normally comes unfinished, which allows you to choose the stain or finish you want. 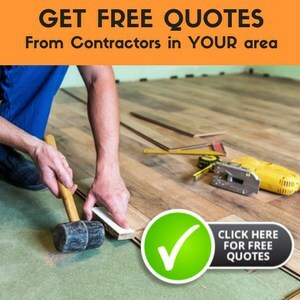 However, pre-finished flooring can be a huge time saver whether you are a do-it-yourselfer or having it installed by a professional, installing yellow pine flooring is easy to nail. One thing to consider while selecting yellow pines, especially if you want to DIY (Do it yourself), as it has a gummy texture that can make sawing and sanding a little more time intensive. Because of this gummy resin, changing your sandpaper frequently is necessary and cleaning your saw blade will be essential to making straight and even. Take your time and you’ll soon have a floor that you will love and be proud of. Almost all types of wood flooring need proper care and maintenance and if you are looking into installing yellow pine flooring, then it needs to have additional care as it has a lower Janka hardness scale rating. Preventive maintenance is the key to preserve the natural beauty of these beautiful yellow pines. Try placing rugs and mattresses on places where high traffic is expected over the flooring, in order to reduce the wear and tear of the flooring and also try to avoid shoes with heels and spikes to prevent from the floors getting scratches and dents.Cleaning yellow pine flooring immediately afterany spills is a must to avoid stains, which may show an ugly picture over the naturally beautiful flooring. Yellow pines can be used in a wide variety of home styles, from country to formal spaces. You’ll find that yellow pine flooring can offer your home clean and bright look that will translate into a welcome feeling for your friends and family.